“After a pilot study in 2000, we set up monitoring in 2003. 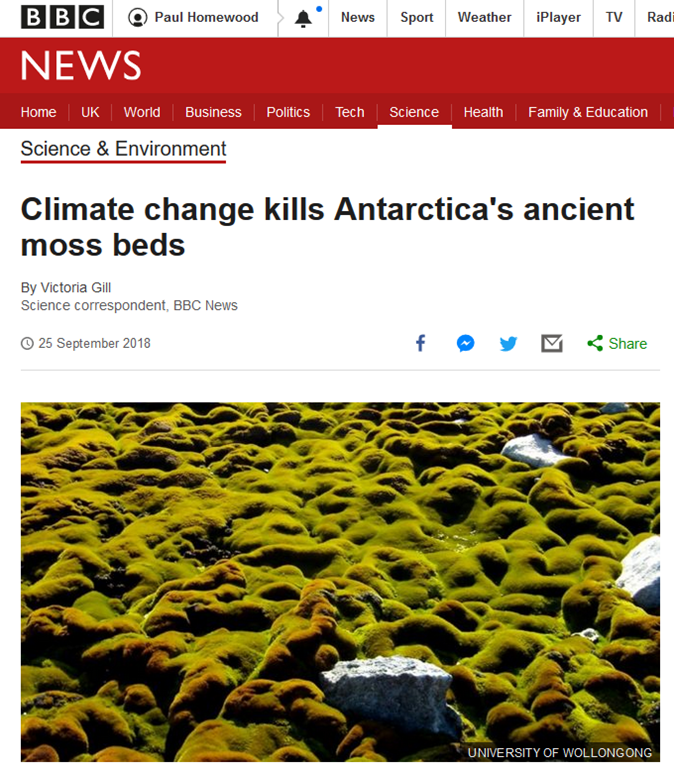 When we returned in 2008, all these green moss beds had turned dark red, indicating they were severely stressed. It was a dramatic change. “They change from green to red to grey if they get really stressed. “The red pigments are the sunscreen and drought stress protective pigments they produce to protect themselves – antioxidant and UV screening compounds. And they are so concerned about precipitation that they have barely bothered measuring it since 2005. What information they have does not suggest Casey is getting drier. The so called scientists have provided no proof that what they have observed is not simply short term weather events, which have no doubt happened millions of times in the past.